As Jewitt McLuckie & Associates’ Long Term Disability Benefits specialist, Randy fights insurance companies and employers when they deny disability benefits to workers. He also helps disabled workers return to work with proper accommodations and works with unions to develop strategies that assist and protect disabled workers. Randy represents Unions in grievance and interest arbitrations. He has successfully represented unions in grievances alleging termination of employment without just cause, unlawful discrimination against disabled employees, improper promotion, denial of disability benefits, policy issues surrounding long term disability benefit plans and other workplace issues. He also assists individual employees who have been wrongfully terminated or who are dealing with discrimination or sexual harassment issues in the workplace. Randy joined Jewitt McLuckie & Associates in 2007 after articling with a union-side firm in Toronto. While completing his law degree at Osgoode Hall Law School, Randy volunteered at the Canadian Race Relations Foundation in Toronto and spent a summer volunteering at the Center for Research Action on Race Relations in Montreal. He also served on Student Government and was a Research Assistant for Professors Iain Ramsay and Poonam Puri. Randy was awarded the Fraser Milner Casgrain LLP prize for achieving academic excellence while making a significant contribution to the Law School. In the fall of 2005, Randy participated in an academic exchange at Waseda University Law School in Tokyo, Japan. Randy also likes to play. He travels extensively- recent trips include Spain, Newfoundland and New Orleans—and loves running. He is currently in training for Ottawa Race Weekend. Email: rslepchik@jewittmcluckie.ca Lisa Karlovic - Legal Assistant lkarlovic@jewittmcluckie.ca Decisions of note: October 2016 - Denial of Canada Pension Plan Disability Pension One our clients unfortunately suffered severe injuries to both of his hands and could no longer work. He was denied access to Canada Pension Plan Disability Benefits, but the lawyers at Jewitt McLuckie & Associates helped him through the appeal process at the Social Security Tribunal. We presented a strong case that showed the extent of our client’s injuries and his lack of qualifications for other more sedentary jobs. Evidence from our client’s physiotherapist and family doctor, as well as an independent medical examination by a surgeon, showed that our client had reached maximal medical recovery and that he would live with his disability for the rest of his life. We successfully showed that our client made substantial and fair efforts to find alternative work, but that his disability was so severe and prolonged that alternative employment was not possible. The result was that our client was awarded his CPP Disability Benefits going back over three years to the time shortly after he was forced to leave work. The lawyers at JM&A have extensive experience helping clients who have been denied CPP and long-term disability benefits. Contact us today so that we can support you through every step of the claims process. December 2015 - Denial of Canada Pension Plan Disability Pension Randy represented a client that had not worked in about a decade due to her medical condition. She had nonetheless been denied a Canada Pension Plan Disability Pension by Service Canada. Randy persuaded the Social Security Tribunal to reverse Service Canada’s decision by presenting medical evidence as well as evidence of our client’s unsuccessful attempts to return to work. Amalgamated Transit Union, Local 279 v The City of Ottawa Arbitrator Barry Stephens affirmed Randy’s argument on behalf of ATU, Local 279 that the City of Ottawa’s program for returning disabled employees to work had systemic flaws that breached human rights law. Canadian Union of Public Employees, Local 503 v The City of Ottawa Arbitrator David Starkman accepted Randy’s submissions on behalf of CUPE, Local 503 finding that the City of Ottawa had improperly considered the grievor’s experience in a job competition. Arbitrator Starkman therefore ordered that the City of Ottawa immediately instate the grievor into the job and pay him the retroactive wages he had missed out on. June 2015 - Denial of Canada Pension Plan Disability Pension Service Canada had denied our client’s application for a Canada Pension Plan Disability Pension. 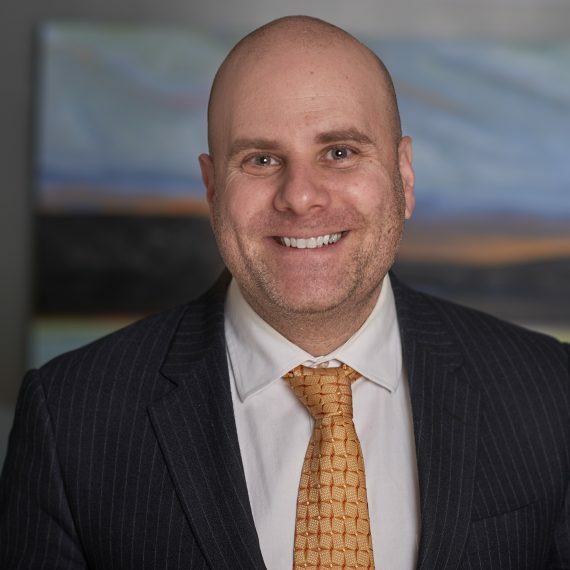 Randy represented our client before the Social Security Tribunal leading the Tribunal to reverse Service Canada’s decision and award the Disability Pension retroactive for a period of almost five years and on an ongoing basis.